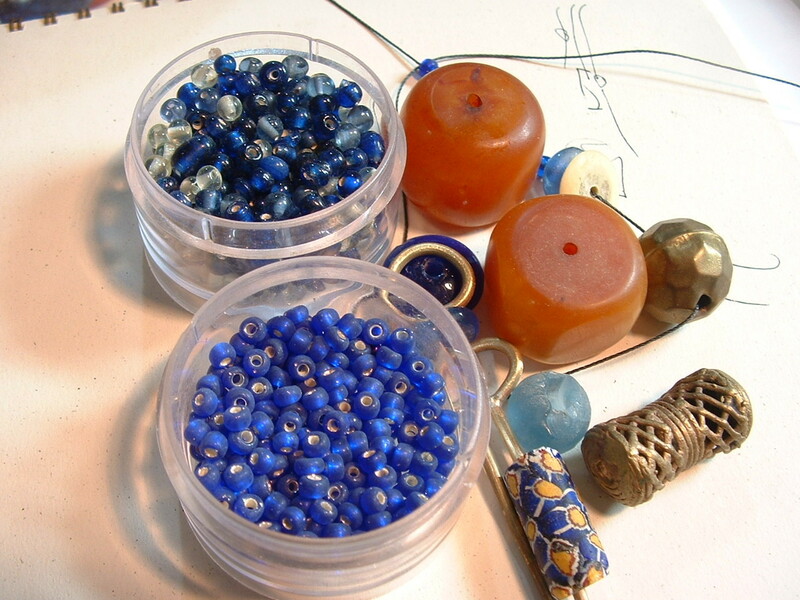 Beads hold memories and and every bead has a story, partially known and partially buried in the past. When I finish the piece for the Blog Hop, story of the beads I’ve used will become longer and might be told later on-or not. Most of the beads here are very old and I don’t know anything about the people who wore them. I am only the latest owner-no, I prefer to think of myself as a caretaker. I hope there will be other caretakers. I will use some of the beads you see below in my piece for the Memories and Thanks Blog Hop, so I thought it fitting that I should share some bead history with you. 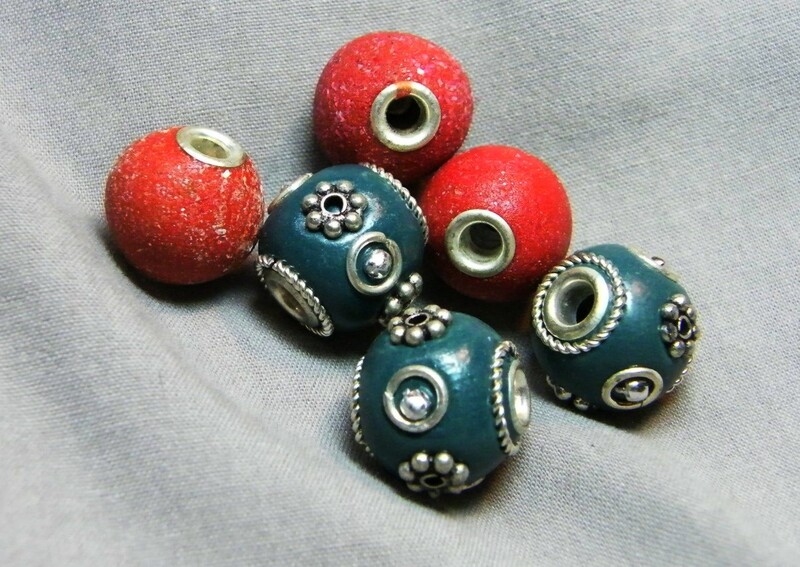 The red disks (above) are African Vulcanite Heishi beads made from old phonograph records. 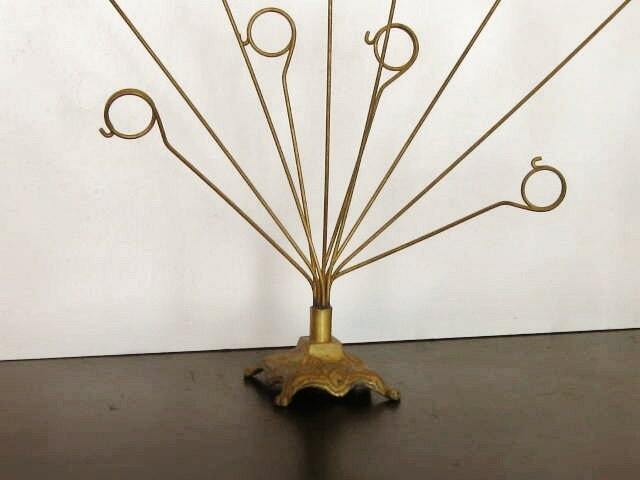 The brass comes from vintage jewelry that has seen a lot of use. 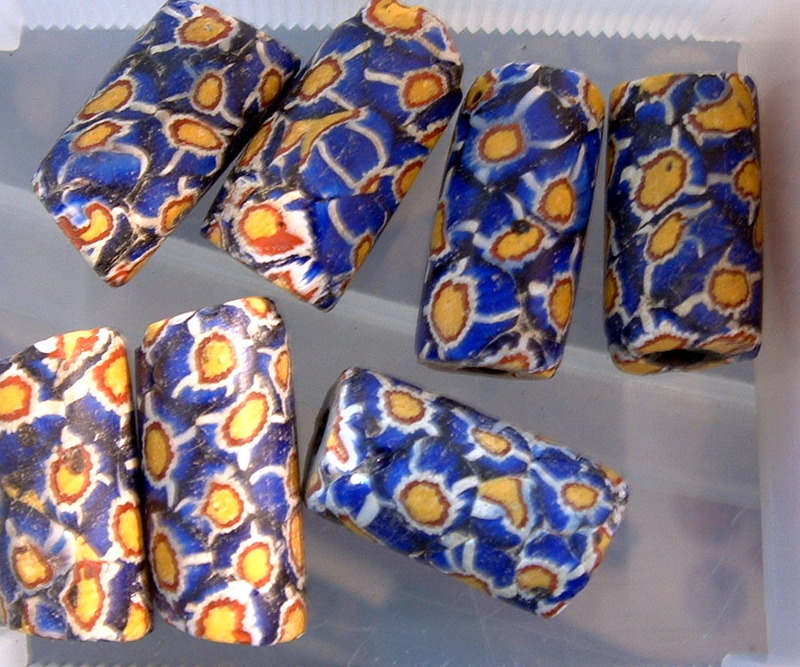 The glass beads (above) are African sand cast beads, millefiore (actually Venetian but traded widely in Africa) and interlocking “snake” beads (above) called African for the same reason even though they are of Czech origin. 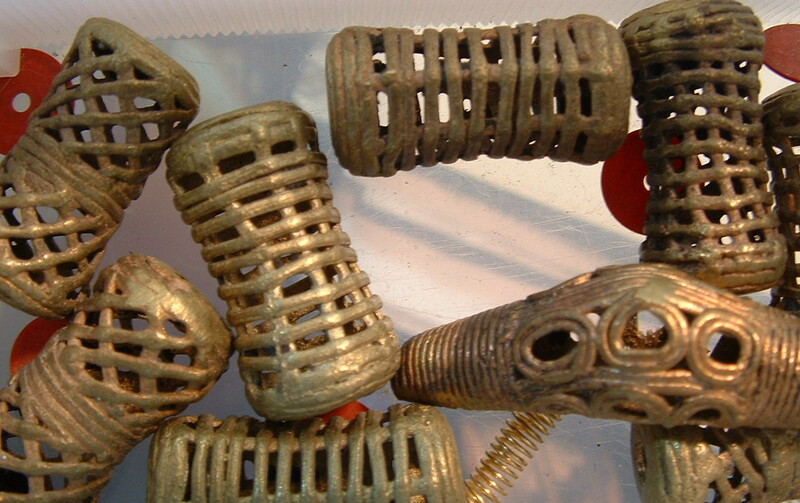 These brass findings-to-be aren’t African but I followed an African tradition: recycling! 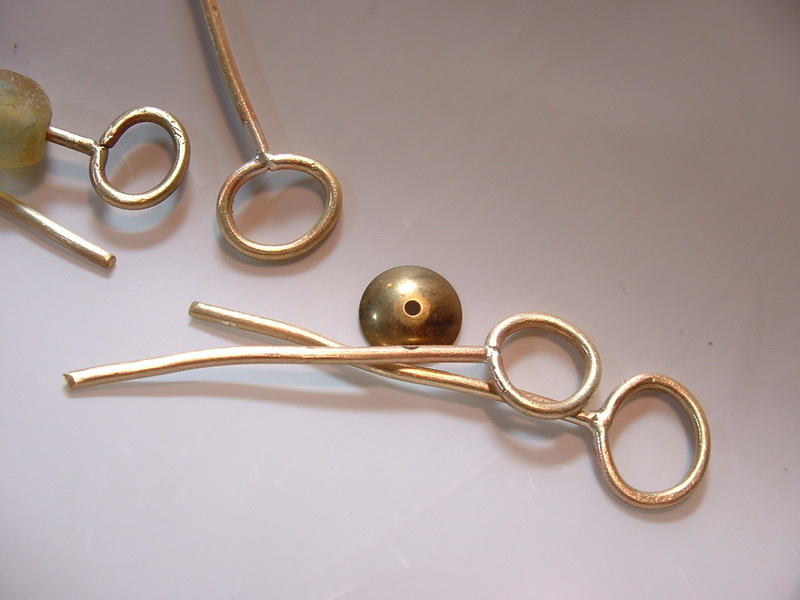 I cut the wires off a brass wire picture holder, cleaned them and made jump rings . Then I soldered a few of the rings to straight pieces of the wire. 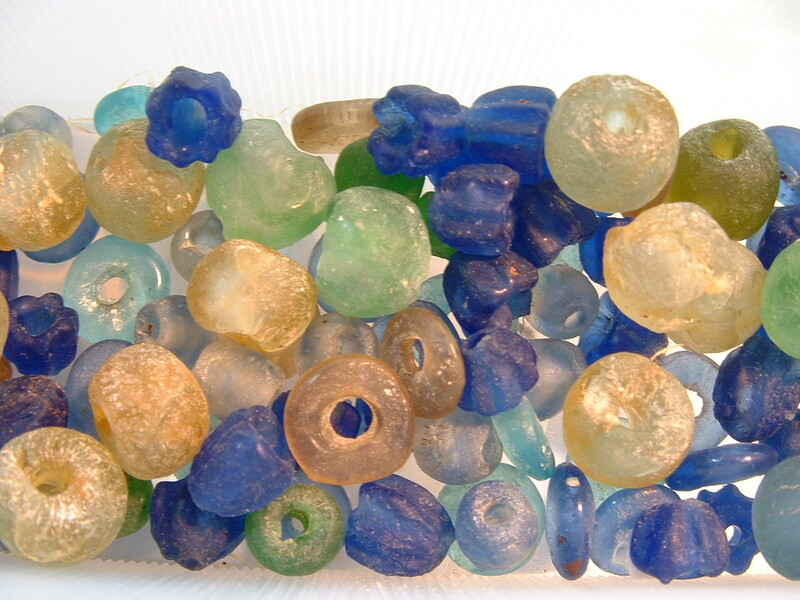 More Krobo Beads from Ghana. I am thinking earrings here, maybe without the beads because I don’t want them too heavy. Maruti International Beads sent me some lovely handcrafted beads to give away to lucky readers. Interested in winning some? Details coming soon, so keep checking here and my Facebook page.